CafePress, Not just for T-Shirts anymore. I have been thinking lately about having a t-shirt made with my blog address on it. I figure it would be a great conversation starter as well as an easy way to get the site out there. So when wanting to design your own t-shirt where do you go? They offer everything from regular t-shirts, to team themed clothing, to work wear and even embroidered options. And the easy to use design center makes sure you are getting exactly what you want. We all know CafePress as the go to for t-shirts. I mean they have political, funny, vintage and design your own t-shirts. But did you know that they also have so much more? And so much more. Did you know CafePress also has Party Invitations? I didn’t know that. Not only can you find funny birthday invitations, bridal and baby shower invitations but they even have retirement invitations. 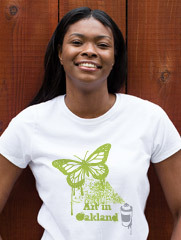 With CafePress, you can customize your very own product in no time. The site is very user-friendly which makes for less stressful shopping. And at the end of the day besides getting quality products, we all want less stress. Stay tuned for a review of CafePress and a more detailed look at just how easy it is to create a personalized look. Have you ever shopped at CafePress? What was your experience like? All photos used courtesy of CafePress. I am being provided with an incentive from CafePress in exchange for my honest views.